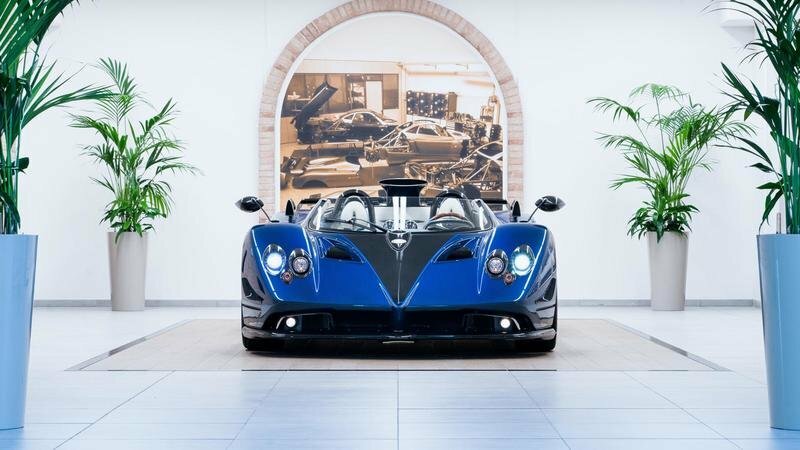 As a company that has become no stranger to dazzling one-off creations, Pagani is back at it again with, well, another one-off Zonda masterpiece. This time, though, the Italian automaker didn’t build one for a deep-pocketed customer with far too much wealth for his own good. 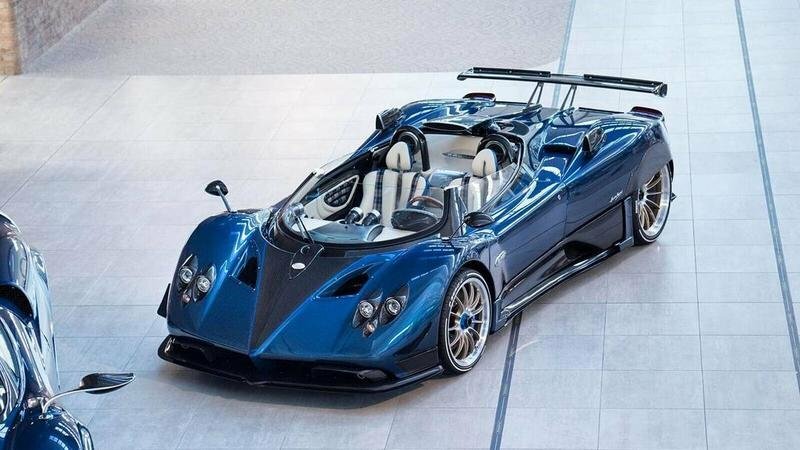 This ultra-exclusive Zonda, called the Zonda HP Barchetta, is for the man who launched Pagani in the first place, Horacio Pagani. 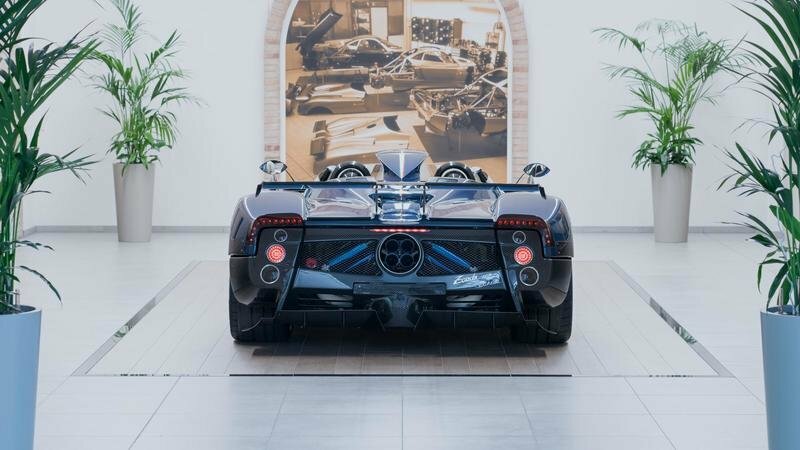 It’s been a long road for the Pagani Zonda to get to this point. It was launched all the way back in 1999 and while it was eventually replaced in 2011 by the Huayra, it’s remarkable run has continued in the form of one one-off model after another, including recent introductions like the Fantasma Evo and the Riviera. The HP Barchetta follows in this tradition and while it is technically a “three-off” – three models will be built – its place secure as one of the most unique Zondas in Pagani’s history. There’s a lot to the Zonda HP Barchetta that justifies its status as a different beast compared to its contemporaries, even by the completely exclusive standards that Pagani’s Uno-di-Uno division upholds. It adopts many of the unique styling features that previous exclusive Zondas had and adds to it with design elements that we’ve never seen from Pagani, be it on the Zonda or the Huayra. It’s fitting then that the HP Barchetta gets these “new” upgrades since these three models are likely to be the last Zondas to be created. 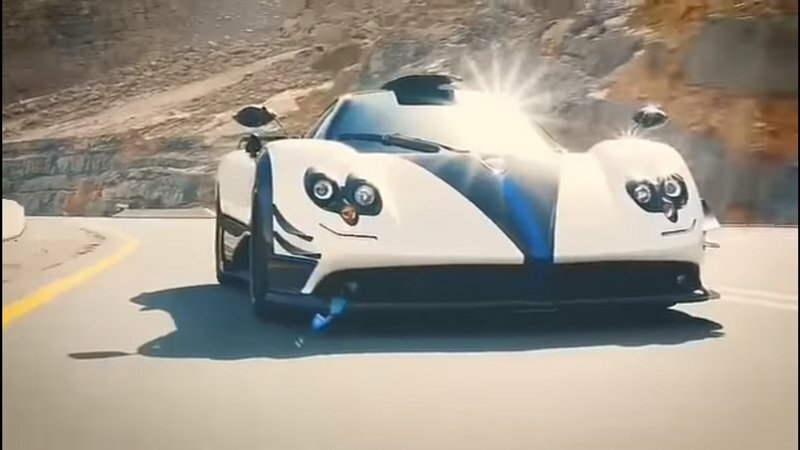 I know that Pagani has towed that line numerous times in the past, but if it decided to finally send the Zonda to the shed, the Zonda HP Barchetta is a pretty good final send-off. Continue after the jump to read more about the Pagani Zonda HP Barchetta. 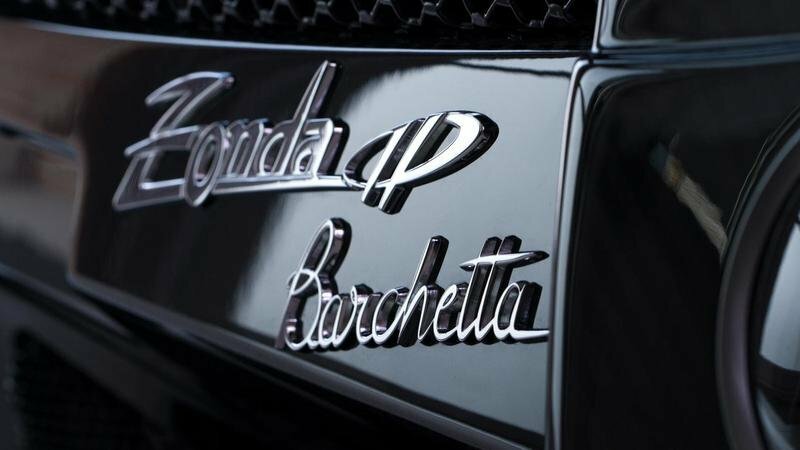 What makes the Pagani Zonda HP Barchetta so special? 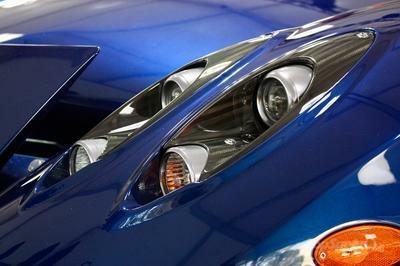 On the outside, the most evident change is the cropped windshield. It’s a lot narrower than it used to be, which in turn gives it a more snug look. Truth be told, the Pagani Zonda HP Barchetta still looks like a Zonda, at least when you look at it from a distance. Move closer though and you’ll start to see the differences between this particular Zonda creation and everything else that came before it. On the outside, the most evident change is the cropped windshield. It’s a lot narrower than it used to be, which in turn gives it a more snug look. Whether Pagani intended it for that specific purpose is unclear, though the rationale to be different from all other Zonda special editions makes it feel as if the Italian automaker’s Uno-di-Uno personalization intentionally designed the Zonda HP Barchetta this way. 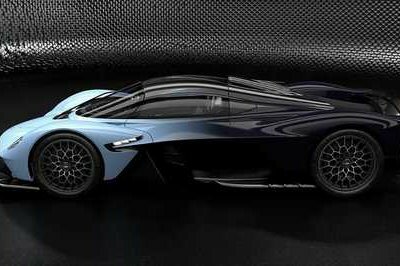 Move beyond the cropped windscreen and other exterior details of the exclusive Zonda, and other changes include carbon fiber modifications like the front canards and rear wing, as well as the addition of a central scoop that looks a lot similar to the Zonda Cinque is sporting. That’s not all though since the Zonda HP Barchetta also features a uniquely designed set of wheels. 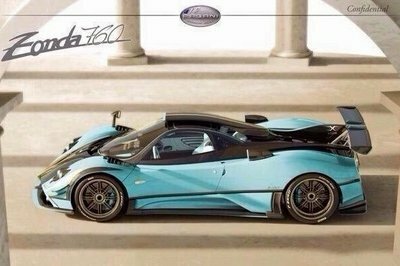 It’s an unusual look, but somehow Pagani thought that dressing up the wheels in different designs and color – silver on the left and blue on the white – would make for an even more dynamic look, as if the Zonda HP Barchetta isn’t dynamic enough already. Open the doors of the supercar and you’ll then be greeted by a lavish interior that’s dressed in Ivory leather, including those two front seats that are actually sourced from the Huayra. Open the doors of the supercar and you’ll then be greeted by a lavish interior that’s dressed in Ivory leather, including those two front seats that are actually sourced from the Huayra. More to that, the Ivory leather is complemented by blue leather highlights and tartan elements. Even the car’s steering wheel received fancy clothes of its own in the form of blue leather and wood trims. It certainly goes without saying that Pagani’s Uno-di-Uno program went through a great deal in justifying the Zonda HP Barchetta’s billing as the exclusive Zonda that bears its founder’s name and arguably the last in a long line of exclusive Hondas to come out of Pagani’s factory in San Cesario Sul Panaro, Italy. As well-dressed as the Zonda HP Barchetta is, Pagani has made no mention on what kind of engine it’s carrying. 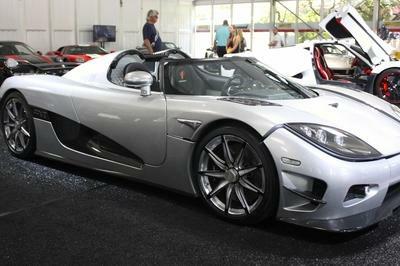 While the easy answer would be the same 7.3-liter V-12 engine that can be found powering all other Hondas of its kind, there are indications that the car could instead feature the Huayra’s smaller 6.0-liter V-12 engine that can produce as much as 739 horsepower and 738 pound-feet of torque. 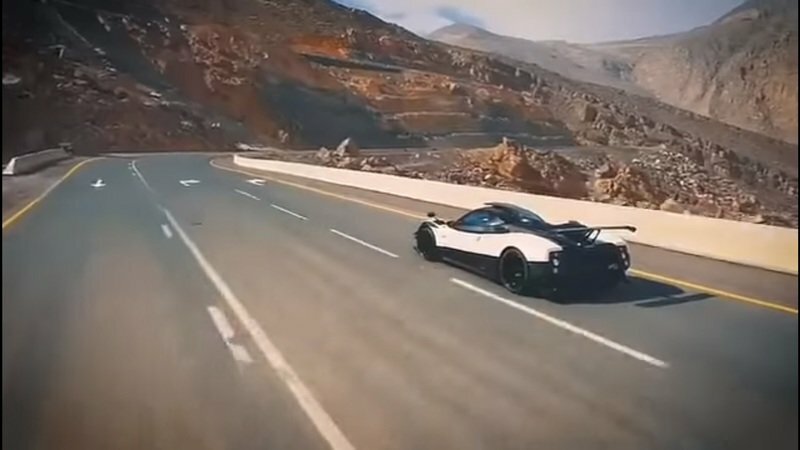 It’s too soon to suggest that this is what Pagani’s preparing for, but if it does end up using the “smaller” V-12 engine, look for the Zonda HP Barchetta to be able to sprint from 0 to 60 mph in 2.8 seconds on its way a to a top speed of well north of 200 mph. In so many words, the Zonda HP Barchetta is yet another masterpiece from the ingenious minds of Uno-di-Uno. Then again, should we be surprised? 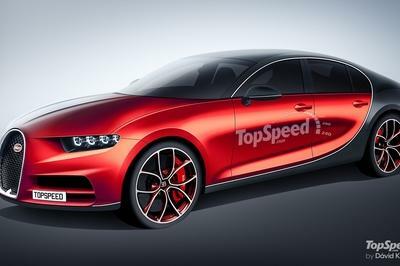 This is the same team after all that has given us beauties like the Zonda 760X and most recently, the Zonda Riviera. 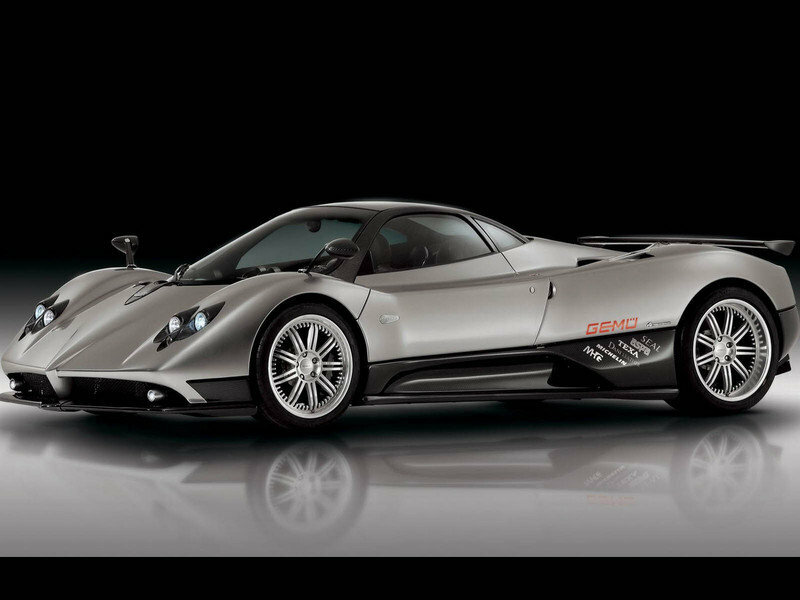 The Pagani Zonda 760X is old as an exclusive Zonda compared to the Riviera or the HP Barchetta. In fact, it traces its roots all the way back in 2014, which seems like forever ago. Of the many defining design qualities of the 760X, a few that still stand out include Baby Blue body wrap and the few bits dressed in naked carbon fiber. On the aerodynamic front, the Zonda 760 X received a long air scoop, a large rear wing, and taillights surrounds dressed in red, white, and green colors, the same three colors that make up the Italian flag. 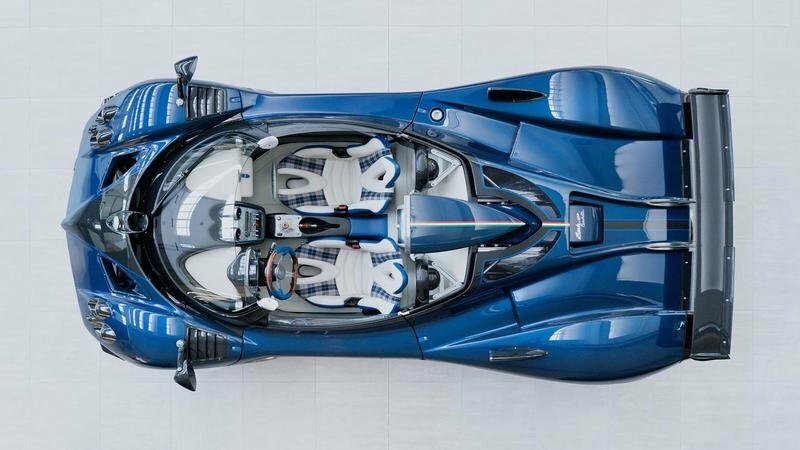 Inside, the Zonda 760X got its exclusivity label in part because of the addition of shades of blue covering the dashboard and the leather-wrapped seats, not to mention all the carbon fiber that was also thrown in for good measure. 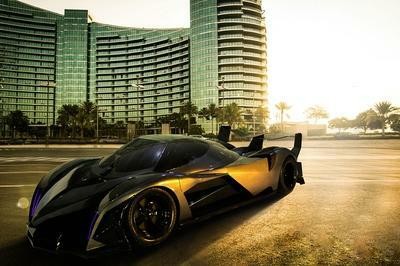 On the power end of the spectrum, the Zonda 760X came with a 7.3-liter V-12 engine that packs a stout 760 horsepower. Not counting the Zonda HP Barchetta, the most recent addition to Pagani’s growing list of one-off exclusives was the Zonda Riviera, which burst onto the scene just last month after spending the first chapter of its life under the guise of a bright yellow Zonda F. This particular Zonda was reborn dressed in white with matching blue accents, an homage to the French Riviera from where it got its name. In addition to getting a new color scheme, the Zonda Riviera also received a good amount of aerodynamic carbon fiber bits, including a new roof scoop, a much larger rear wing, and enough carbon fiber bits that help make for a lighter supercar. Read our full review on the Pagani Zonda F.
Read our full review on the Pagani Zonda 760 X. Read our full review on the Pagani Zonda Riviera.